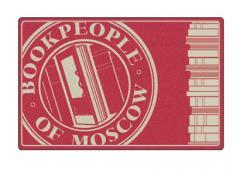 Just over three years ago, in February of 2012, we re-opened BookPeople of Moscow after we had closed it for 7 weeks to remodel, revamp, and restock the store. As brand new owners of a venerable store, we had a lot to learn, and still do. Overall we feel proud of what we've done in three years and are immensely grateful to the community for its support all along the way. We've become experienced enough to have moved into a role of giving advice to other booksellers through our involvement with the ABA (American Booksellers Assn.) and the PNBA (Pacific Northwest Booksellers Assn.) and it feels good to be looking ahead instead of playing a game of catch-up every single day. 1) Our business hours on Sunday will be 10am - 4pm. 2) Our Customer Rewards Program discount will be 15%, with a threshold of $150. 3) Our bookclub discount will be 15%. 4) We will retain a ticket sales commission of 5% on all tickets sold, for any organization. They are minor changes, but in small business, margins are small and profitability depends on the smallest of details. I don't think we'll ever be at the point where we can throw caution to the wind. Every sale means a lot to us and every customer is valued. On that note, please watch this space over the coming weeks for news about the first ever Independent Bookstore Day which we'll be celebrating on Saturday, May 2 along with hundreds of other independent bookstores across the country!